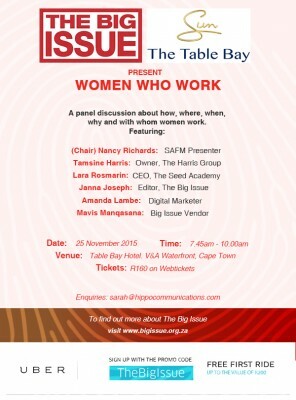 On 25 November, The Big Issue will host its final business breakfast for 2015, sponsored by and hosted at The Table Bay Hotel. Under the theme of "women who work", the morning will centre around a panel discussion by a selection of hard working women (see the invitation below for details). Author: Sarah Van Der Ahee from HIPPO Communications. More Info link: http://www.bigissue.org.za/news/come-dine-with-the-big-issue/ Images: For high res version/s of One image/s please contact HIPPO Communications. THE BIG ISSUE BREAKFAST-WOMEN WHO WORK. 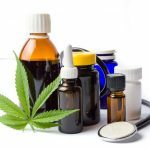 CLICK HERE to submit your press release to MyPR.co.za. Have a look at the online visibility from 11/18/2015 to today for The Big Issue Breakfast-Women Who Work: Google Search Results Bing Search Results Yahoo Search Results DuckDuckGo Search Results Twitter Mentions . . . 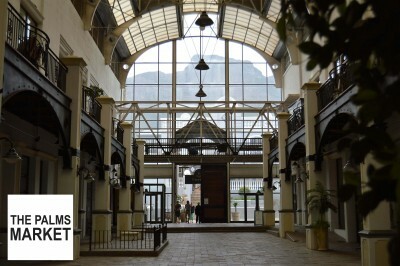 The Palms Lifestyle Market It’s no secret that Cape Town is flourishing with talent when it comes to décor, lifestyle and craft and what better way to experience it than at The Palms Lifestyle Market, located right in the design hotspot of Woodstock. This exquisite location is an architectural delight and a historic building with an intriguing history. The Palms Lifestyle Market will be launching its first market on 22 November 2015. The stalls will be showcasing their edgy and trendy handcrafted work, from leather bags to polarised bamboo wood sunglasses, bright and funky accessories, one of a kind jewellery and even natural organic tooth polish. You can start your Christmas shopping, listening to jazz while exploring a range of different items that are all unique and crafted with passion and love. The Palms Lifestyle Market is definitely the ideal place to spend a Sunday with the whole family. The centre has a large courtyard with outdoor seating and plenty of running-around space for kids. And there is plenty of free, under cover parking too. Time: 10h00 – 16h00 Date: 22 November and 6 December 2015 Address: 145 Sir Lowry Rd, Foreshore, Cape Town, 7925 Author: Sarah Van Der Ahee from HIPPO Communications. 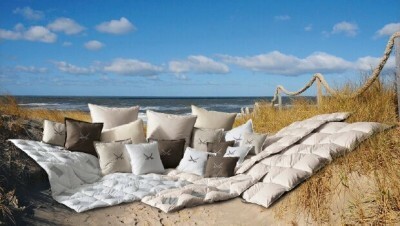 More Info link: https://www.facebook.com/palmslifestylemarket Twitter: Facebook: Images: For high res version/s of One image/s please contact HIPPO Communications. The Palms Lifestyle Market Photo: 7441 CLICK HERE to submit your press release to MyPR.co.za. Have a look at the online visibility from 11/13/2015 to today for The Palms Lifestyle Market: Google Search Results Bing Search Results Yahoo Search Results DuckDuckGo Search Results Twitter Mentions . 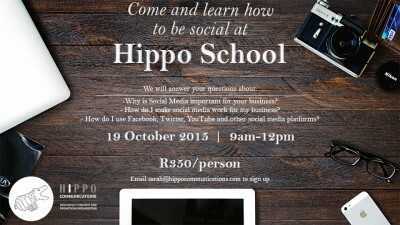 . .
Come and learn how to be social at HIPPO School. We will answer your questions about:- Why Social Media is important for your business, How to make social media work for your business and how to use Facebook, Twitter, You Tube and other social media platforms. When: Monday 19th October 2015 - 9am-12pm Where: No. 8 Rothesay Road, West Beach, Tableview, Cape Town Cost: R350.00 per person including a light lunch at the end of the workshop. Contact: Sarah - sarah@hippocommunications.com Author: Sarah Van Der Ahee from HIPPO Communications. More Info link: http://www.hippocommunications.com/ Images: For high res version/s of One image/s please contact HIPPO Communications. CLICK HERE to submit your press release to MyPR.co.za. . . .
Join in the Capegate Charity Run and stand a chance to win part of the R30 000 cash prizes There’s no better way to start the running season than to join the annual 5 and 10km Charity Run at Capegate Shopping Centre. This year’s event is scheduled for Saturday 3rd October 2015 and the whole family is invited. Join over 3 000 runners and walkers for a fun morning and stand a chance to win part of the R30 000 cash prizes for the 10km winners. There’ll also be awesome spot prizes given at the lucky draw during the prize giving ceremony. Goodie bags will be giving to the first 1,500 people to register and medals to the first 1500 to cross the line in each distance. Walkers are also invited to complete the 10km event. And you and your fans won’t go hungry… there’ll be food and beverage stalls and entertainment at the finish line. Proceeds of the 5km entries will be donated to charity, so you’ll also be helping your community. Entry forms are available from Capegate Centre Management offices (lower level, next to Fego Caffé), downloadable from www.capegatecentre.co.za or you can enter and pay online at www.enteronline.co.za. Entry fees range from R25 for junior licensed athletes (10km), R30 for the 5km fun run / walk up to R60 for non-licensed athletes (10km). Online entries close on Sunday 27 September and in centre entries on Monday 28 September. Registration and last minute entries will take place on Thursday 1 and Friday 2 October between 6pm and 8pm in the Capegate Shopping Centre Centre Court or between 5.30 -06.50am on race morning. For more information or to download an entry form visit www.capegatecentre.co.za or the Capegate Shopping Precinct Facebook page. This year’s event is supported by Smile FM and Coca Cola and organised by the Nedbank Running Club. ---------------------------------------------------------------------------------------------------- For sponsorship opportunities please contact Amanda McCarthy on 021 981 2331 . . .
Not unless we know what drives inequality Inequality is not a given, a result of natural forces at play, said Professor Jayati Ghosh in the plenary session that kicked off the second day of the World Social Sciences Forum (held in the International Convention Centre, Durban, 13-16 September 2015). Economics professor and executive secretary of the International Development Economics Associates, Ghosh was speaking on a panel with Dr JomoSundaram, the Malaysian economist who is assistant director general and coordinator for economic and social development with the Food and Agriculture Organisation of the United Nations and Dr Leith Mullings, Distinguished Professor of Anthropology at City University New York. Sundaram dissected the history of inequality and noted that where you are in the world (for example, north America versus Asia) is a stronger indicator of your level of equality than your class: “Geography trumps class,” he said(then chuckled, “I’d better not use the word ‘trump’!”). This gives some insight into why migration is an ongoing phenomenon worldwide. When it came to unpacking the Why of inequality, Ghosh outlined three major drivers globally. The globalisation of finance, she said, has a number of consequences, not least of them increased fragility and exposure to economic cycles. “It creates the urge to fiscal austerity, not only in countries in down swings; belt-tightening is also seen as necessary in economies in surplus,” she said. Globalised finance also increases wage inequality: “At the bottom end, wages are stagnant or falling, but rising very, very sharply at the top end.” There is an obsession with exports that results from the intensification of globalisation, she noted, a quest for economic stimulus from outside the country. This is a huge contribution to the ‘race to the bottom’, as countries become more competitive with each other and there are calls for greater labour flexibility and other factors which deepen . . . In many ways the eThekwini Municipality has been a jewel in Durban’s crown, winning a string of awards for its management, developments and innovations. It had also made substantial inroads into meeting its water delivery backlogs, even picking up UN and Stockholm Industry accolades. But beneath the surface the picture wasn’t also so rosy, said Associate Professor Mary Galvin, of the Department of Anthropology and Development Studies at the University of Johannesburg, in her presentation, Of Water and Stones: Citizens’ attempts to access water in South Africa’s liberal democracy, on the opening day of WSSF2015. Looking at four townships in the municipality, Galvin unpacked the troubles communities have faced to access water, and pointed out the political rivalries and infighting that dictated who got water, and who didn't. This marred citizens’ experiences of democracy, said Galvin. For one thing, the councillor system of participatory democracy wasn’t working as intended. In response some communities protested, while others just opted out of any real participation. “At the local level there’s a disjuncture and disconnect, an emptiness – I’m using the term ‘empty democracy’,” said Galvin. 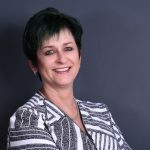 “In many ways it goes back to the perception that we cannot have a democracy that people recognise on the ground without meeting socio-economic rights.” http://www.hippocommunications.com/ Author: Sarah Van Der Ahee from HIPPO Communications. CLICK HERE to submit your press release to MyPR.co.za. . . .
Leon Morenas and his team of ISSC Fellows in a session on Transitions in Urban Environments, say the urban poor are often blamed as the “culprits of pollution” and by extension, cast as the cause of environmental unsustainability. They then become targets of sustainability projects and slum dwellers are,through this process, removed to other areas. He said these degrading narratives are misplaced as the industrialised countries, with only 20% of the world’s population, are responsible for 80% of the accumulated carbon dioxide build-up in the atmosphere. The US, in contrast, was responsible for 20 tons of carbon dioxide emissions per person, compared to only 0.2 tons in Bangladesh, 0.3 in Kenya and 3.9 in Mexico. In tackling the core question posed by the session, namely modes of urban governance emerging across the developed and developing world to tackle the underlying challenges of urban growth, urban poverty and environmental unsustainability, Morena wanted to convey that a just world is not created by a linear process of transforming global relations, but through “critically understand what global relations are, and how they are transfigured and reified in local contexts”. The solution put forward by ISSC Fellow Buyana Kareem from the South African group, entailed involving the Durban municipality in carefully managing the informal settlement without destroying existing social structures. He advocated an incremental approach and creating relationships with groups involved in urban activism so that they could work together and recreate sustainable urbanisation. Fellow Moises Lino e Silva from a third group, who lives in Quito in Ecuador, said sustainability is about power and power is often invisible. Communities need to make power visible by analysing the underlying power dynamics. One of the many questions during the discussion was about waste pickers in the streets of Cape Town, who are homeless and stigmatised. How to work around that, it was . . .
“I am currently involved in a project on gender-based violence and the war in Ukraine,” said Ganna Gerasymenko, from the Institute for Demography and Social Studies, National Academy of Sciences, Ukraine. “There has been a huge increase in incidence. It may take years, maybe decades, for things to settle down once the war is over.” She was talking just before presenting her paper on ‘Gender aspects of Income Inequality: a case of Ukraine’ at the World Social Sciences Forum on 13 September at the International Convention Centre, Durban. A patriarchal society which was weakened during the Soviet years has reasserted itself starkly, Gerasymenko, a demographer whose job is to provide useable aggregation of data and analysis for policy makers and ministers in her country, said. The inequality between men and women is glaring in the graphs she presented: women on average earn 75% of what men earn in the Ukraine and they are at greater risk of poverty. There’s a ‘gender segregation’ in occupations both horizontally and vertically – that is, some occupations are clearly dominated by women, while the higher echelons of status, such as managers and CEOs, are male-dominated. Interestingly, the stereotypes that underpin this state of affairs are well established: Gerasymenko noted that, when asked if women should be prepared to cut down on her paid work for the sake of her family, 17.8% of Ukrainian women agree – nearly three times higher than British women at 6% and way higher than Danish women at just 1.9%. The sharp swing from a Soviet sensibility in which all women had to hold jobs and equality was a policy goal, said Gerasymenko, may have been a reaction to this austere ideological approach – when the USSR crumbled, women sought to reclaim their traditional ‘feminine’ roles. This led to a rebound of the darker side of tradition: patriarchal stereotypes which, ultimately, has resulted in greater poverty for Ukraine’s women – and the gender-based violence which . . .
Four international science organisations took the stage at the first day of the World Social Science Forum 2015 in Durban to proclaim the 2016 International Year of Global Understanding (IYGU). The International Social Science Council, International Council for Science, International Geographical Union and International Council for Philosophy and Human Sciences, together with UNESCO launched the IYGU as a platform and tool to draw attention to the connections between global conditions and local actions and to encourage international action as a direct answer to concerns of global importance. Professor Benno Werlen of Germany,Executive Director of the IYGU,opened the session with a look at the overall objective and roadmap for 2016 IYGU. His remarks defined the mandate of the organisation: The scientific community has to prepare scientific knowledge that is easily accessible for use by everyone in daily living. Professor Werlen further explained that, “the IYGU will act to bridge social and natural sciences, to understand how local and global is interconnected, and to move from knowing about sustainability to living sustainably.” The declaration of 2016 IYGU was further supported and presented by ISSC President Professor Alberto Martinelli, ICSU Executive Director Dr Heide Hackmann and CIPSH’s Professor Luiz Oosterbeek. Professor Martinelli further emphasised the significance of 2016 IYGU saying that, “If we want to reach global sustainability, we need to take into account cultural differences, and we need to find adapted ways of living that better accord with natural conditions. Every action is socially and culturally embedded. Local traditions have a global impact.” His address was followed by the declaration of fostering great partnership and relations through the IYGU by ICSU’s Dr Hackmaan who said this platform allows scientific voices to be represented across the world. Professor Oosterbeek concluded the declaration by answering why the . . .